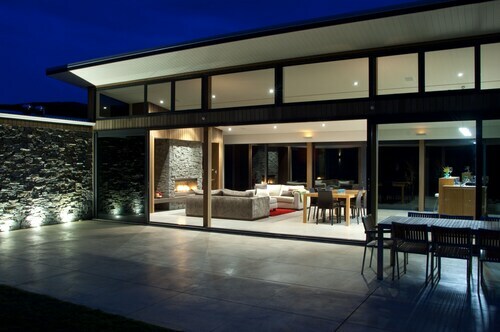 Situated in Kinloch, this luxury lodge is within 1 mi (2 km) of The Kinloch Club and Lake Taupo. Spa Thermal Park and Taupo i-SITE Visitor Information Centre are also within 12 mi (20 km). 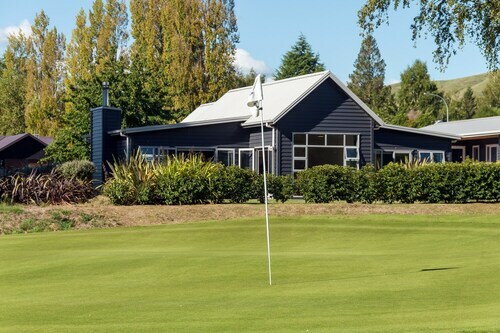 Situated in Kinloch, this golf bed & breakfast is 0.6 mi (0.9 km) from Lake Taupo and within 16 mi (25 km) of Barbary and Taupo Bungy. Prawn Farm and Huka Falls are also within 16 mi (25 km). 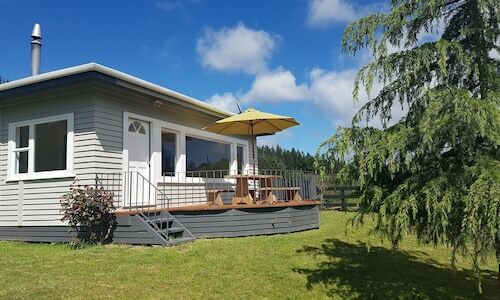 Situated in a rural location, this vacation home is within 9 mi (15 km) of The Kinloch Club, Lake Taupo, and Huka Falls. Spa Thermal Park and Taupo i-SITE Visitor Information Centre are also within 9 mi (15 km). 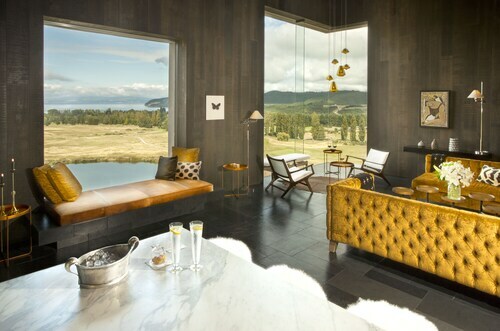 Situated in a rural location, this luxury vacation home is 0.6 mi (0.9 km) from The Kinloch Club and within 16 mi (25 km) of Barbary and Huka Falls. Orakei Korako Geothermal Park and Cave is 20.9 mi (33.6 km) away. Visiting new places is the best way to stop boredom. How about booking a trip to Lake Taupo? We have loads of hot places to crash very close to the action in Kinloch. Kinloch has 10 hotels within a 10-kilometre distance of the centre of town. Even though you won't exactly be blown away by the sheer number of hotel options within a 3-kilometre radius of downtown Kinloch, you'll find the Kinloch Club is a handy option. Check out the Wairakei Resort Taupo or the Hilton Lake Taupo. 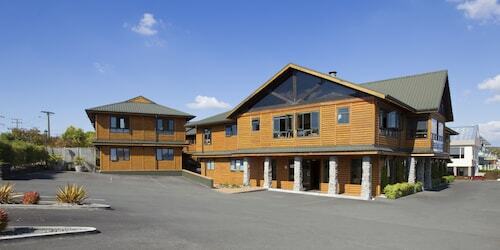 The Wairakei Resort Taupo is positioned 12 kilometres from the middle of Kinloch. The Hilton Lake Taupo is located 14 kilometres away. Alternatively, make a booking at the Lake Taupo TOP 10 Holiday Resort or the Millennium Resort Manuels. After you've had fun in Kinloch, take the time to visit the other great attractions Waikato has to offer. Visit the old towns in Waikato, or grab your daypack and admire the region's beaches and coastal plains. Or spend some time mountain biking, mountain climbing and hiking while you are here. 8 kilometres from Kinloch is Acacia Bay, home to the Barbary. 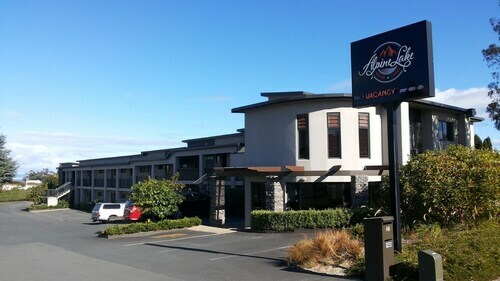 Acacia Bay has a range of good places to stay, including the Whakaipo Lodge and Tauhara Sunrise Lodge. You may also wish to stay at Taupo, which is home to the Huka Falls. Taupo can be found 12 kilometres to the east of Kinloch. The Taupo Debretts Spa Resort and Oasis Beach Resort are great places to stay. Taupo Airport is the most frequently used airport for flying into and leaving Kinloch and is 15 kilometres from the CBD. If you would like to stay nearby, try the Hilton Lake Taupo or the Millennium Resort Manuels. How Much is a Hotel Room in Kinloch? Hotels in Kinloch start at NZ$130 per night. Prices and availability subject to change. Additional terms may apply.